The trailer of his Anjaan, directed by commercial film whiz N. Lingusamy, has created a buzz, and Surya oozes style in the stills. He’s also started work on Venkat Prabhu’s Masss. 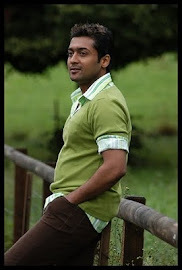 Years after he became Surya, the actor still drifts back to being Saravanan sometimes. Every May, he takes a month-long break and heads to the U.S. for a family holiday. That’s when he refocusses on his priorities and lives a ‘regular’ life. Those moments are necessary to help me recharge, says the actor, who is in a great space right now. The trailer of his Anjaan, directed by commercial film whiz N. Lingusamy, has created a buzz, and Surya oozes style in the stills. 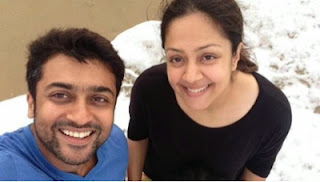 He’s also started work on Venkat Prabhu’s Masss. The time seems perfect to get the usually reluctant actor to open up about his life and career. He’s nursing a bad cold but is game all the same to answer questions. “Looking back, I had no clue what my forte was. I just chose from what came to me, based on blind faith. I barely knew anyone from the industry other than appa. Soon, I realised I was getting slotted as a chocolate hero. I hated that. I wanted success on my own terms, not as Sivakumar’s son. I craved variety,” he recalls. Friends and Nandha gave him that opportunity. That’s an irony considering Surya is very soft-spoken, barring occasions when “I have been pushed”. It’s turned out to be a very stylish film. But that’s expected, considering Lingusamy has a natural sense of style. He’s so good with nuances. Cinematographer Santosh Sivan is an expert in capturing everyday moments. It’s a breezy film, with some intense moments. It’s a story of friends, of brothers. It’s a love story. It’s an entertainer. Lingusamy believes in making pleasant films, where people leave the theatre smiling. He connects well with the audience. That’s so important, because he’s the one who gives final shape to a film. It’s a very young team and I’m looking forward to shooting. It’s the first time anyone has ever called me Anna on the sets. It’s fun reconnecting with the St. Bede’s gang. Venkat Prabhu is a livewire and I needed this break. I am a fairly serious person in real life but he makes me comes across as light-hearted. I’m out of my comfort zone with this film.